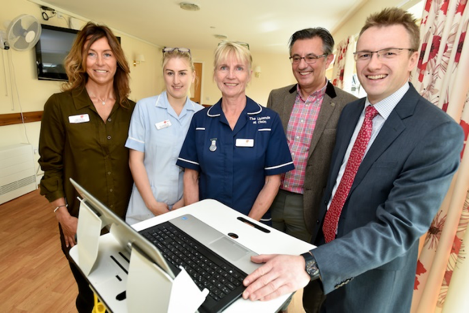 Marches Care, which runs the Uplands care home in Shrewsbury, is the first of its kind in England to match NHS information governance standards after bringing in IT specialists Bespoke Computing to help it update both its technology and staff culture. Bespoke Computing carried out a thorough review of IT systems and hardware at the home before embarking on a programme of upgrades and replacements. This was backed-up by training and support for staff to ensure they were familiar with key security practices and comfortable with the new systems and protocols for ensuring data security. Because information governance is a fast-moving area, Bespoke Computing will also maintain a focus on future strategy as Marches Care evolves and grows, including ongoing review of security measures required to satisfy ever-developing information governance protocols. Marches Care is the first private care home in the country to have met the demanding specifications required to be granted an NHS Mail account and match the same benchmark for information governance required of NHS hospitals. Bespoke Computing was appointed following a competitive tendering and shortlisting process and as Mark Thorn, a Director at Marches Care, explains, there were some key considerations at play during the selection process: “To stand out in an increasingly competitive sector, and deliver the highest standards of service, we have embraced technology across our business. However, in doing so we’ve needed to be mindful of the fundamental requirement for us to ensure that sensitive information is secure. Looking to the future, Marches Care plans to invest in further upgrades to its servers and back-up systems, as well as expanding upon technology across all aspects of the services provided. Ultimately their aim is to become as paperless as the industry in which they operate allows.